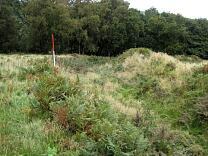 A suboval enclosure of presumed Iron Age date visible as an earthwork with two detached outworks. The enclosure measures 80 metres by 60 metres and is defined by a bank of 1.6 metres high. A single entrance lies on the northeast side. <1> Ordnance Survey, 1962, 6 Inch Map: 1962 (Map). SEM7220. <2> Allcroft, A.H., 1908, Earthwork of England: Prehistoric, Roman, Saxon, Danish, Norman, and Mediaeval, P. 112-113 (Monograph). SMO5064. <3> Ordnance Survey, 1962, Ordnance Survey Map of Southern Britain in the Iron Age (Monograph). SMO5622. <4> Ministry of Works, 1961, List of Ancient Monuments of England and Wales, P. 82 (Index). SEM7745. <5> Page, W. (editor), 1911, The Victoria History of the County of Somerset, P. 499-500 (Monograph). SMO5358. <6> PITCHER, GHP, Field Investigators Comments, Ordnance Survey visit, 21 July 1965 (Unpublished document). SMO7319. <7> Burrow, E.J., 1924, Ancient Earthworks and Camps of Somerset, P. 72 (Monograph). SSO820. <8> Whybrow, C., 1967, Some Multivallate Hill-Forts on Exmoor and in North Devon, P. 11-12 (Article in serial). SEM6803. <9> Ordnance Survey, 1974, 1:10,000 scale map: 1974 (Map). SEM7530. <10> Forde-Johnston, J.L., 1976, Hillforts of the Iron Age in England and Wales: A Survey of the Surface Evidence (Article in monograph). SMO4747. <11> Fox, A, 1961, South-Western Hillforts, P. 58 (Article in monograph). SSO1177. <12> Phelphs, W., 1836, The History and Antiquities of Somersetshire, P. 117 (Monograph). SSO1785. 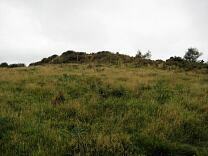 <13> Burrow, I., 1981, Hillfort and Hilltop Settlement in the First to Eighth Centuries AD, 259-60 (Article in serial). SSO825. <14> Grinsell, L.V., 1970, The Archaeology of Exmoor: Bideford Bay to Bridgewater (Monograph). SMO4578. <15> Hogg, A.H.A., 1979, British Hillforts: An Index (Article in monograph). SMO4712. <16> Royal Commission on the Historical Monuments of England, Field Investigators Comment, H Riley, R Wilson-North and P Wild, 19 February 1998 (Unpublished document). SMO5111. <17> Wild, P., 1998, Bury Castle, Selworthy, Somerset (Report). SMO5796. 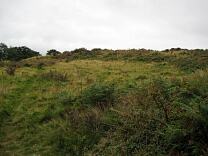 <18> Bury Castle, Selworthy/ink survey (Survey). SMO5794. 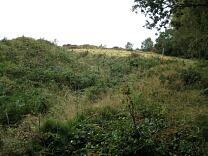 <19> Bury Castle, Selworthy/pencil survey (Survey). SMO5795. <20> English Heritage, 15.09.94, English Heritage to Somerset County Council (Unpublished document). SSO1124. <21> Various, Various, Vertical Aerial Photograph, RAF/106G/UK/1655 3015-3016 (11 July 1946) (Aerial photograph). SMO4068. <22> Various, Various, Vertical Aerial Photograph, NMR OS/79013 161-162 (17 April 1979) (Aerial photograph). SMO4068. <23> Severn Estuary Rapid Coastal Zone Assessment: SS 94 NW (Archive). SMO7542. <24> Historic Buildings and Monuments Commission, Field Monument Warden Report (Report). SSO1247. <25> National Trust notes, file 33985 (Unassigned). SSO310. <27> May 1974, NMR SS9147-1 (WAP) (Unassigned). SSO332. <28> Western Archaeological Trust, 1980s, Exmoor Aerial Photograph Survey, 9147 (Survey). SSO708. <29> 1971, HSL.UK.71-177 Run 91, September, 8681 (Aerial photograph). SSO254. <30> West Air Photography, 1981-1983, Oblique aerial photographs across Exmoor National Park, 29011 (Aerial photograph). SSO705. <31> Pevsner, N., 1958, The Buildings of England: South and West Somerset, 286 (Monograph). SMO5711. <32> 1990, DAP QL5-8 (Aerial photograph). SSO130. <33> Preece, A., 1993-1994, English Heritage Monument Protection Programme (Report). SSO1801. 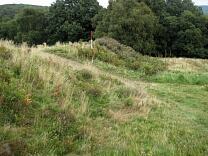 <34> Bray, L.S., 2010, Scheduled Monument Condition Assessment 2009, Exmoor National Park (Report). SEM7402. <35> Gent, T. and Manning, P., 2015, Exmoor National Park Scheduled Monument Condition Survey 2015 (Report). SEM8278. SEM7220 - Map: Ordnance Survey. 1962. 6 Inch Map: 1962. 1:10560. SMO5064 - Monograph: Allcroft, A.H.. 1908. 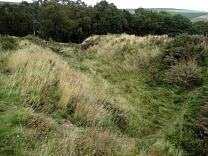 Earthwork of England: Prehistoric, Roman, Saxon, Danish, Norman, and Mediaeval. Macmillan (London). P. 112-113. SMO5622 - Monograph: Ordnance Survey. 1962. Ordnance Survey Map of Southern Britain in the Iron Age. Ordnance Survey. SEM7745 - Index: Ministry of Works. 1961. List of Ancient Monuments of England and Wales. P. 82. SMO5358 - Monograph: Page, W. (editor). 1911. The Victoria History of the County of Somerset. Archibald Constable and Company, Limited (London). 2. P. 499-500. SMO7319 - Unpublished document: PITCHER, GHP. Field Investigators Comments. Ordnance Survey visit, 21 July 1965. SSO820 - Monograph: Burrow, E.J.. 1924. Ancient Earthworks and Camps of Somerset. P. 72. SEM6803 - Article in serial: Whybrow, C.. 1967. Some Multivallate Hill-Forts on Exmoor and in North Devon. Devon Archaeological Society. 25. P. 11-12. SEM7530 - Map: Ordnance Survey. 1974. 1:10,000 scale map: 1974. 1:10000. SMO4747 - Article in monograph: Forde-Johnston, J.L.. 1976. Hillforts of the Iron Age in England and Wales: A Survey of the Surface Evidence. Liverpool University Press. SSO1177 - Article in monograph: Fox, A. 1961. South-Western Hillforts. Problems of the Iron Age in Southern Britain. Institute of Archaeology. P. 58. SSO1785 - Monograph: Phelphs, W.. 1836. The History and Antiquities of Somersetshire. J. B. Nicholas and Son. 1. P. 117. SSO825 - Article in serial: Burrow, I.. 1981. Hillfort and Hilltop Settlement in the First to Eighth Centuries AD. British Archaeological Reports. 91. 259-60. SMO4578 - Monograph: Grinsell, L.V.. 1970. The Archaeology of Exmoor: Bideford Bay to Bridgewater. David and Charles Limited. SMO4712 - Article in monograph: Hogg, A.H.A.. 1979. British Hillforts: An Index. Occasional Papers of the Hill-Fort Study Group; No.1. British Archaeological Reports. SMO5111 - Unpublished document: Royal Commission on the Historical Monuments of England. Field Investigators Comment. H Riley, R Wilson-North and P Wild, 19 February 1998. SMO5796 - Report: Wild, P.. 1998. Bury Castle, Selworthy, Somerset. SMO5794 - Survey: Bury Castle, Selworthy/ink survey . 1:1000. General: Permatrace. Pen and Ink. SMO5795 - Survey: Bury Castle, Selworthy/pencil survey . 1:1000. General: Permatrace. Pencil. SSO1124 - Unpublished document: English Heritage. 15.09.94. English Heritage to Somerset County Council. SMO4068 - Aerial photograph: Various. Various. Vertical Aerial Photograph. RAF/106G/UK/1655 3015-3016 (11 July 1946). SMO4068 - Aerial photograph: Various. Various. Vertical Aerial Photograph. NMR OS/79013 161-162 (17 April 1979). SMO7542 - Archive: Severn Estuary Rapid Coastal Zone Assessment: SS 94 NW. MD000133. SSO1247 - Report: Historic Buildings and Monuments Commission. Field Monument Warden Report. SSO310 - Unassigned: National Trust notes. file 33985. SSO332 - Unassigned: May 1974. NMR SS9147-1 (WAP). SSO708 - Survey: Western Archaeological Trust. 1980s. Exmoor Aerial Photograph Survey. 9147. SSO254 - Aerial photograph: 1971. HSL.UK.71-177 Run 91, September. 8681. SSO705 - Aerial photograph: West Air Photography. 1981-1983. Oblique aerial photographs across Exmoor National Park. 29011. SMO5711 - Monograph: Pevsner, N.. 1958. The Buildings of England: South and West Somerset. Penguin Books. 286. SSO130 - Aerial photograph: 1990. DAP QL5-8. SSO1801 - Report: Preece, A.. 1993-1994. English Heritage Monument Protection Programme. SEM7402 - Report: Bray, L.S.. 2010. 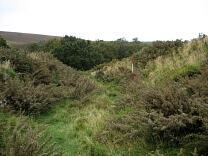 Scheduled Monument Condition Assessment 2009, Exmoor National Park. SEM8278 - Report: Gent, T. and Manning, P.. 2015. Exmoor National Park Scheduled Monument Condition Survey 2015.